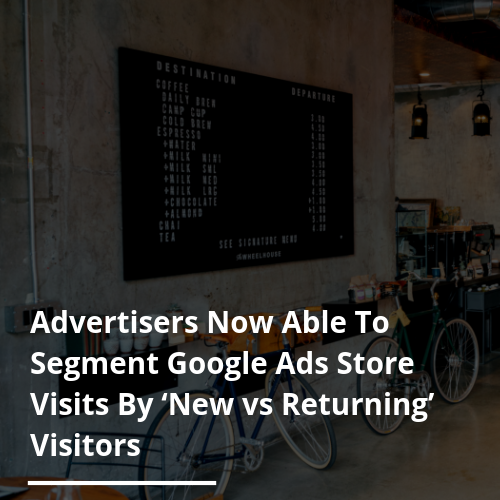 Google’s latest update means advertisers are now able to segment store visits by ‘new vs returning’ visitors. Any Google Ads advertiser that is measuring store visits from people who have interacted with their ads are now able to identify the number of those visitors who are new or returning customers. This update has been designed to help advertisers gain a better understanding of how their campaigns are encouraging new store visits / returning visits from past customers. From this, advertisers are able to make more informed decisions regarding bid and budget.